Dabney’s work on Sacred Rhetoric (republished as Evangelical Eloquence) is a study or “reflection and teaching” throughout Dabney’s career of, at the time, 20 years. The work is comprised of 24 lectures, which were given to students at Union Theological Seminary in Dabney’s day. My intention is simply to draw out of the work the best portions and teachings that Dabney gave on the subject, whittling his work down to the absolute essential points and arguments. Sacred Rhetoric is an art. Art is but the rational adjustment of means to an end. Such rhetoric in light of preaching emulates the Apostle Paul, as Dabney uses him as a model. He says, “Let us make our sacred rhetoric just his, so far as it was primarily taught him by the Holy Spirit, and taught him next by his high culture and pure devotion.” Paul, then, was a one who prepared well and taught Timothy to prepare well in 1 Timothy 4:13-15. “It is, surely, sufficient proof that the apostle Paul did not understand preparation to be unlawful, that we find him commanding Timothy, “to give attendance to reading, to exhortation, to doctrine, to meditate upon these things, and give himself wholly to them, that his profiting might appear unto all.” Dabney exhorts that students of the ministry must prepare for the public vocation of preaching the gospel, and as its proclamation from the pulpit is to be their prominent task. All other studies are ancillary to this which they undertake. Dabney then gives a history of preaching. Enoch was a preacher, “Enoch, the seventh from Adam, prophesied of the ungodly,” (Jude 1:14). Noah was, “a preacher of righteousness,” (2 Peter 2:5). In the Hebrew commonwealth there are three orders of official preachers, besides the patriarchal heads of households. On these a constant oral instruction of children was enjoined (Deut. 6:7). The prophets were preachers of revealed truth. We read of such discourses from Moses, Aaron, (who was both prophet and priest), Isaiah, Elijah, Elisha, Jonah, Jeremiah and the prophets of the restoration. Ezekiel aptly illustrates the responsibilities of his office by that of the “watchman set to proclaim the coming of an enemy,” (Ezekiel 33). The second order of preachers was the priests. It is clear that his stated duties were not only sacrificial but also pastoral. The priests and Levites occupied themselves in teaching and preaching. This is intimated in the complaint of Azariah the son of Obed, in the reign of Asa, against their delinquency, “Now for a long season Israel hath been without the true God, and without a teaching priest,” etc. It is more expressly declared by Malachi 2:7, “For the priests’ should keep knowledge, and they should seek the law at his mouth, for he is the messenger of the Lord of hosts.” One may also consider the theocratic kings included preaching among their legitimate functions. One of Solomon’s titles was “preacher,” “The words of the Preacher, the son of David, king in Jerusalem,” (Eccl. 1:1). Dabney says, “But it was under Ezra that preaching assumed, by divine appointment, more nearly its modern place as a constant part of worship, and also its modern character as an exposition of the written Scriptures.” Christ and the apostles were constant preachers of the gospel. They preached everywhere; in the temple-courts, in private houses, in the streets and highways, beside the sea, on the mountains, etc. “It pleased God by the foolishness of preaching to save them that believe,” (1 Cor. 1:21). And it is very plain from the Acts and Epistles, in both their preceptive and narrative parts, that this continued to be a regular part of the public service of all the Christian assemblies. Dabney states, “Sacred rhetoric is one branch of eloquence.” Eloquence deals with the hearer’s soul through all its powers, but it also operates through all the powers of the speaker’s soul. Generally, eloquence is defined as the emission of the soul’s energy through speech. The sermon, then, “is a peculiar species of eloquence.” But sacred rhetoric concerns the Bible and the divine nature of eloquence on sermonizing. If a sermon urges the hearer merely with excellent reasons and inducements, natural, ethical, social, legal, political, self-interested, philanthropic, if it does not end by bringing their wills under the direct grasp of a, “thus saith the Lord,” it is not a sermon; it has degenerated into a speech. So, Dabney says, “The nature of the preacher’s work is determined by the word employed to describe it by the Holy Ghost. The preacher is a herald; his work is heralding the King’s message.” He is an intelligent medium of communication and he is expected to deliver and explain his Master’s mind, that the other party shall receive not only the mechanical sounds, but the true meaning of the message. The preacher’s task may be correctly explained as that of (instrumentally) forming the image of Christ upon the souls of men. This means it is the preacher’s business is to take what is given him in the Scriptures, as it is given to him, and to endeavor to imprint it on the souls of men. If the messenger is to bring to the people the King’s mind, he must be well prepared for the task if sacred rhetoric and the prime qualification of the sacred orator is sincere, which is eminent piety. The appropriate mission of the minister is to preach the gospel for the salvation of souls. How can he accomplish this without a sincere devotion to God? Preaching is not merely an exercise in social reform. Rather, in the pulpit, the preacher is the ambassador of Christ to the people. Rhetoric is also to be considered as the art of persuasion. Its usual distribution has been into the three parts of Invention, Disposition, and Elocution. These are learned and exercised by the minister. No two individuals are the same, so each has his own distinct style within the boundaries of the art of persuasion. Dabney explains Vinet’s understanding of this when he says that the method, the style, the diction, the gesticulation, all must be invented. Vinet does not mean that they may be artificial; but that they must, in order to be appropriate, be discovered and selected by the same exertions of the mind which give the speaker his thoughts. Sermons, then are classified into different sorts, namely topical and expository, or doctrinal, practical and narrative. All are expository sermons, which is really the only type of biblical sermon that meets Scriptural guidelines, but they have different emphasis. Doctrinal preaching is that which aims to instruct the people methodically in the truths of the Gospel. Doctrinal sermons should be the science of systematic interpretation made popular. Dabney asks, “How shall the heart be reached except through the head?” Many people object that didactic preaching is dry. Dabney says that that if it ever seems to be so, this is the fault of the preacher and not of the truth. If his attempted development of doctrine is confused, illogical, iterative, tedious; if the didactic unfolding of truth is perversely severed from the practical results, he may not be surprised to find that he (not his subject) is dull. No heart can be excited by the Bible that does not in some measure understand the truth preached. In such doctrinal preaching, no truth should be kept back, and the whole bible should be revealed. A second class of sermon is the practical or ethical. 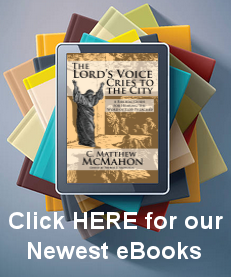 These discuss the duties of the Christian life toward God and toward man. They show their nature, limits, obligations and motives. The Law of God plays an important role in this, demonstrating who man is, and what is required of him. Within the bounds of the practical or ethical sermon, the preacher should never weigh the sermon down or encumber them with secular details, or too much studious information. Study is made of the passage so the preacher may formulate his message, not to show the congregation the study he made. The third kind of sermon is the historical sermon, or narrative. This is where the preacher uses texts that employ parable, biographies and histories made in the Biblical text. Here, danger occurs to pull something out of the narrative that may not be the intention of the Spirit in the text. In a narrative sermon, the preacher’s first task must be to ascertain faithfully, from the whole context, the precise scope of the Spirit in placing these events in the infallible record. What principles of truth or duty did He here illustrate to the Church? This must be his topic; and nothing else. There is a fourth kind of sermon which Dabney calls the “occasional sermon.” He classifies anything that is preached at an event which may be a “startling” providence like a funeral, some grave event like a massive flood killing thousands, etc. In all these sermons there is direct exhortation. Direct exhortation, which is not founded on argument, is meaningless. All sermons have argumentation, or a logical order about them to bring the hearer to a certain intellectual place. The posture of the preacher is essentially different from that of all other speakers. His only work is to expound and apply to the people an authoritative message from God. The whole authority of his addresses to the conscience depends upon the correspondence evinced between his explanations and inferences and the infallible Word. Therefore, unless sermons are expository, they are not true sermons. In such sermons there are capital texts, which encompass whole sections of Scripture, such as a history, or epitome texts, which capture in a short portion or even phrase, a singular idea. In either case, the expository method (understood as that which explains extended passages of Scripture in course) should be restored to that equal place which it held in the primitive and Reformed Churches, “for, first, this is obviously the only natural and efficient way to do that which is the sole legitimate end of preaching, convey the whole message of God to the people.” Dabney says, “The scriptural theory of preaching gives us no other conception of the work than the expository.” In these expository sermons sections must be created to correctly set down the meaning of the Spirit in the text, and these are seen in separate propositions about the text. That means a preacher must have the capacity to set these down well, from his exposition. “He who does not preach many expository sermons will seldom become an able and learned interpreter.” The expository method naturally adapts to sustain the interest of common minds, in that it provides them with frequent and easy transitions of the subject matter. It presents divine truth in those aspects and relations in which it was placed by that God who knew what was in man. The text is that passage of Scripture which introduces and contains the sermon, whether it is a single proposition, or even clause of Scripture, or a portion of many verses to be expounded. If the passage is very fruitful, a smaller portion can be taken. If it consists largely of perspicuous narrative, or detail, not requiring explanation, the preacher may dispatch a much longer portion. The text, 1) should be God’s word, and 2) accepted and discussed only in the very sense which it had in the mind of the Spirit as he uttered it. 3) No passage of Scripture is suitable for a text which does not contain a distinct and important point. 4) The text should be made clear, which means the preacher must be precise. First, the preacher must stick to one’s text. Bible drills, jumping all over the Bible, is not a sermon. There must be unity in the work, and a clear presentation of the point being made. There must be a point to the sermon, and the point must be made exceedingly clear. The sermon must have an evangelical tone, proclaiming the Gospel in mercy and truth. The sermon should be “prevalently evangelical.” This does not mean that is solely a salvation message at every turn, as is common by unskilled preachers who are shallow in their depth of Scriptural information. Evangelical is defined by Dabney as “scriptural.” The sermon is to be filled with unction, (1 John 2:27), or an anointing from God. Passions in the preacher do not constitute unction, but is defined by Vinet as, “the general savor of Christianity, a gravity accompanied by tenderness, a severity tempered with sweetness, a majesty associated with intimacy.” It is gravity and warmth united together. One of the last important attributes of a sermon is order. Dabney says, “Order is the proper arrangement of the parts among themselves; division discriminates the parts. Division, therefore, bears to order the relation of means to ends. We divide in order that we may arrange.” This is exceedingly lacking in today’s preaching style. This quality, according to Vinet, “is the character of a true discourse.” Order is heaven’s first law. Order allows for recollection both in the speaker and the hearer. The mind apprehends beauty in method, and it is noble thing to make the truth beautiful. Right division allows the hearer to remember what is spoken. Division is divided into the Exordium, or introduction, the Exposition, the Proposition, the Main Argument, and the Conclusion. The Exordium is that prefatory matter which precedes the direct business of the discourse. It should give weight to the main subject of the sermon, explaining the text, and should conclude with only one leading thought. This should be short relative to the whole sermon, and should explain the text in its context and point. Let us suppose that the text is a single verse, 1 John 3:3, “And every man that hath this hope in him purifieth himself, even as he is pure.” After the explication, which by the help of the context, will plainly and convincingly show that the “hope” intended is that of redemption through Christ, that the “purifying” is that of spiritual sanctification, and that the person who is its pattern is the Redeemer, you may then deduce your topic either as a subject of didactic and illustrative remarks, “The sanctifying effect of the true believer’s hope,” or as a proposition to be demonstrated, “The believer’s hope sanctifies all who are entitled to it.” Let us suppose that the sermon discusses a longer passage of Scripture in which a kindred truth is taught. Titus 2:9 to chapter 3:8. After such preliminary explanation of the scope and language as introduces the hearer to the leading idea of the passage, this may be deduced either as a subject, “The connection of the faith and the life,” which will then be exemplified by a detailed examination of the verses; or it may be stated as a proposition, “The true believer will be careful to maintain good works,” which will then be proved by the arguments the apostle furnishes, and will be applied to his instances. An extended part of the sermon is the argument. This surrounds the reasons the propositions should be believed and may after have inferences and corollaries to explain it. Finally comes the practical application, which brings the truth to bear on the conscience of the hearer. Arguments, as Vinet states, can be arguments from experience, arguments from testimony and arguments from reasoning. In every one of these there is a resort to reasoning, and they recur as closely as possible to the primary sources of conviction, self-consciousness and intuitions. In all of them rely mainly on the testimony of the Word. Sermons should ever be rich in Scripture. The testimony of the Word should be cited with a certain boldness and authority expressive of the preacher’s confidence, not in himself, but in God, who there speaks. Proof texts for the argument should be applicable. All reasoning should recur as closely as possible to the original sources of conviction in self-consciousness and intuitions. If one must be deductive, let the steps be few in number. A caution must be made about arguing using illustrations. Dabney says, “A brief caution, I trust, will be enough to remind you that mere illustration is not argument, and that he who substitutes the one for the other is a dishonest logician.” Illustration can be a potent aid to the preacher if used correctly. This is not storytelling, but illustrating. Arguments should follow one another in a natural progressive order. In arguments given, the preacher should see his arguments as unanswerable to the subject matter. The preacher must consider what parts of the sermon might be considered objectionable, and deal with those objections is sound arguments. Time must never we wasted on trivial matters or arguments. Anything opposed should be treated fairly. An orderly arrangement of parts implies the preacher must be discriminatory in his order. Divisions to the text usually fall into three areas, Scholastic, Textural or Topical. When the preacher takes a scholastic approach (which was dawned in the university during the middle ages), he is bound to a logical order that overdoes the sermon in its intricacy. As an example, take Eph. 2:8, “For by grace are ye saved.” The proposition deduced must be this, “Salvation is gratuitous.” But the Scholastic will first discuss the question, What is salvation? The second, the notion of gratuity as predicated of God’s salvation, and the third, the affirmation. Now, if one desired really to preach the proposition of the text (which is the text) the first and second heads should have been dispatched in the explication, and the assertion of the copula should have occupied all the argument, its heads consisting of the several evidences which demonstrate the free grace of redemption. This is too cumbersome for the sermon. The Textual Division is simple, scriptural and beautiful in that class of texts and passages to which it fairly applies. It simply makes the distribution of the matter of discussion as the phrases or commas of the text stand in the Scriptures, changing nothing except perhaps the order of the clauses among themselves. This is the hallmark of Reformation and Puritan preaching. Divisions in the sermon should not be numerous. Reasons for all propositions should govern the main point overall. All heads in the outline of the sermon should coordinate the same main subject. All parts must be ranked in order to build the sermon. One should not pre-announce all the divisions. Philip Doddridge’s rule is that their masters do not pre-announce any heads of discourse. The phenomenon of instinctive sympathy is the orator’s right arm in the work of persuasion. To sympathize is to be affected with our fellow-man, and because we see him affected. This emotion, though, must be genuine and not fabricated as the TV preachers (false preachers) would exemplify. Warmth in preaching demonstrates and persuades with apprehensions of sacred truth. Dabney says, “The hearers’ apprehension of their minister’s character is a most important element in his power of persuasion.” The preacher’s competent knowledge and good judgment must be such a soundness of mind as will command the respect of all men, with a real mastery of the theology of redemption. A frivolous, weak, illogical mind will detract from the weight of all that you could say for religious truth. This will include a spotless honesty and fidelity in all earthly relations and transactions, “A bishop must be blameless.” He must also have an ardent love for souls. The pastor should be recognized as one who affectionately hungers for the spiritual good of his charge. How will they listen to him if they consider him weak and illogical, without care for their souls? Action is the function of the body used in preaching. There is utterance and gesture. Speech addresses the ear and gesture addresses the eyes. Natural tones ought to be considered in speaking, as one notices well-bred people and the manner they speak. Speech, like the piece of music, has its dominant key-note, from which the voice ascends or descends along the scale, and to which it returns. There is pitch in speaking. It holds a certain loudness in it and must be used as an instrument, with a pure tone. How important right emphasis is to the point and perspicuity of your utterance? Dabney says that the preacher must, “comprehend the means of acquiring that flexibility of utterance which is so great a grace.” This, then, gives way to gesture, which is carrying the outer man in speaking. Gesture should be used rightly, not overdone, and not in theatrics. It is solely engaged for emphasis and should be considered sparingly. The last subject of discussion touching the sermon is the mode of preparation. Three modes are recognized as allowable — writing, writing and memorizing, and extemporizing. The use of the written sermon in the pulpit has given us many respectable and some powerful preachers. These write, with the greatest possible care and with rhetorical structure, a manuscript having two-thirds the length of the intended sermon. The second method is that of writing a discourse and committing it to memory verbatim, to be recited in the pulpit. I should object to this way that the structure and style would seldom be truly rhetorical. But this is not the delivery of a sermon without premeditation, except for in extraordinary emergencies. The extempore sermon is least of all impromptu. I mean by it a discourse in which the thought has been perfectly prearranged, but the words, except in cardinal propositions, are left to the free suggestions of the moment. The Papist says, “I go to mass;” the Protestant says, “I go to preaching.” Preaching not only involves the sermon, but it involves the public ministry of prayer. The minister must be as bound to prepare for prayer as he is for preaching. When prayer before or after a sermon, or in the public prayer meeting by the minister goes poorly, the many blemishes which we hear in public prayers are to be traced to two sources: first, deficient piety, and, second, deficient preparation. Does God take pleasure in bad grammar? Dabney says, “He has spoken to us in good Greek, thereby showing us that he expects us to address him in good English.” The grace of prayer is to be secured only by a life of personal and private devotion. Since it is God to whom you speak, and not man, your prayers should not be didactic. But the minister should be using the language of Scripture in his prayers. Dabney, RL, Evangelical Eloquence, (Carlisle, PA: Banner of Truth Trust, 1999) 5. Banner of Truth changed the 1979 title Sacred Rhetoric to their current title. Derek Thomas’ contribution in “Feed my Sheep” confuses scholastic preaching with puritan preaching. Page 282. Dabney says, “Nothing has caused more embarrassment to young speakers than the unfortunate notion that public speaking must be generically different from talking,” (Page 283).